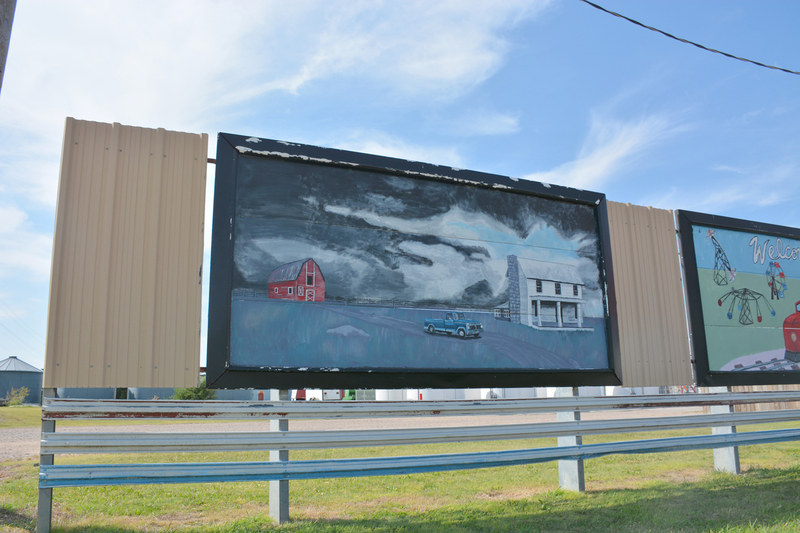 Explore Wallace County with an artist's eye! 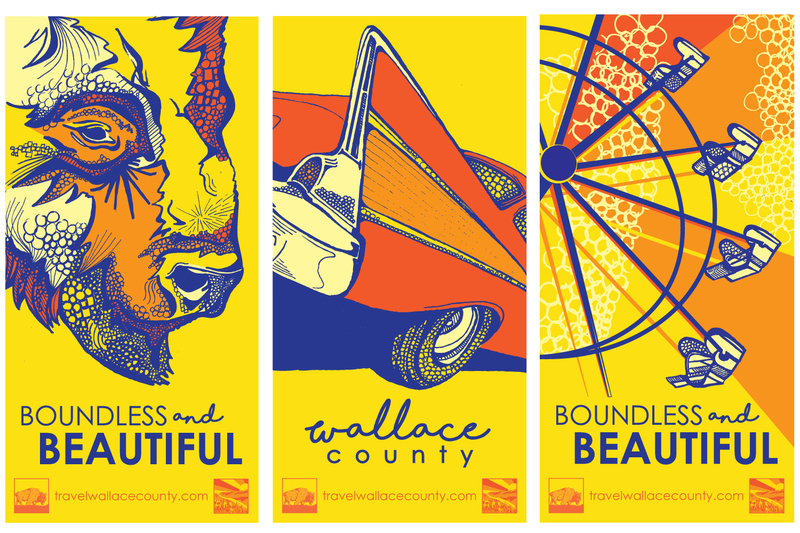 Whether you're an artist yourself, or an art enthusiast, Wallace County is full of homegrown, grassroots arts, from sculpture to painting. 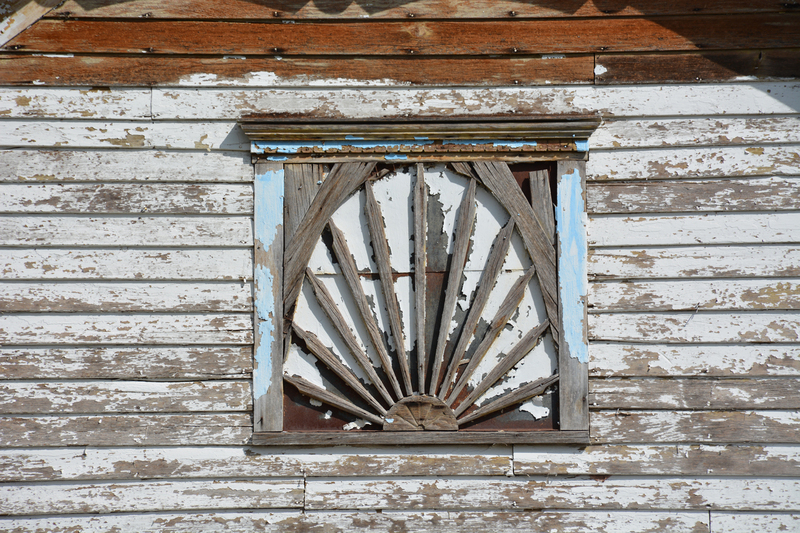 Be on the lookout for art on barns, in yards, and on businesses. 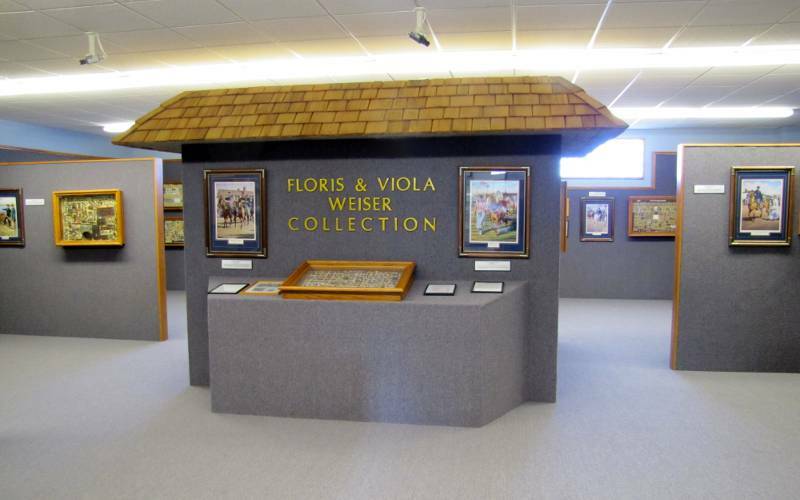 Traveling east to west across Wallace County, make sure to check out the art collection at the Fort Wallace Museum in Wallace. 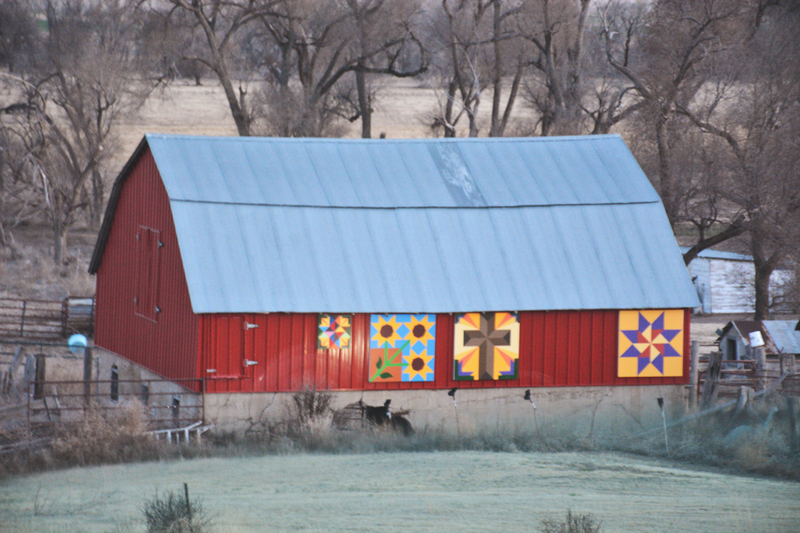 Be on the lookout for barn quilts as you travel towards Sharon Springs. 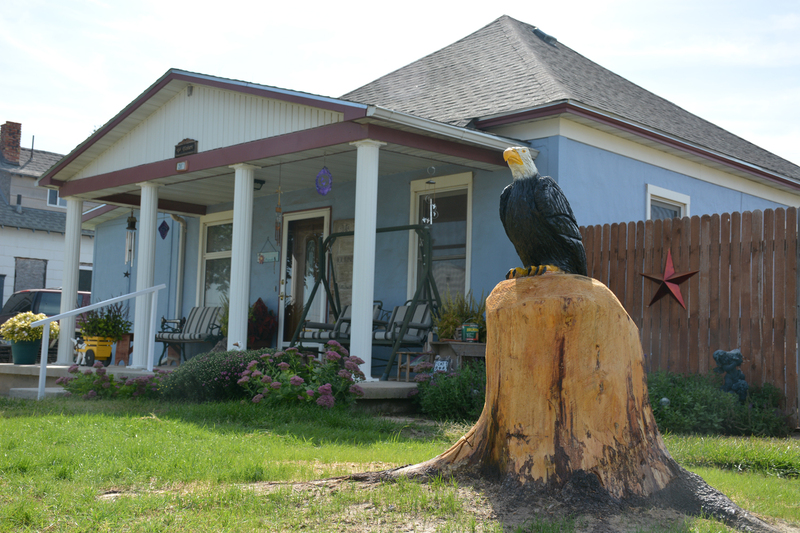 In Sharon Springs, you'll find lots of quirky, whimsical art in hidden corners of town. 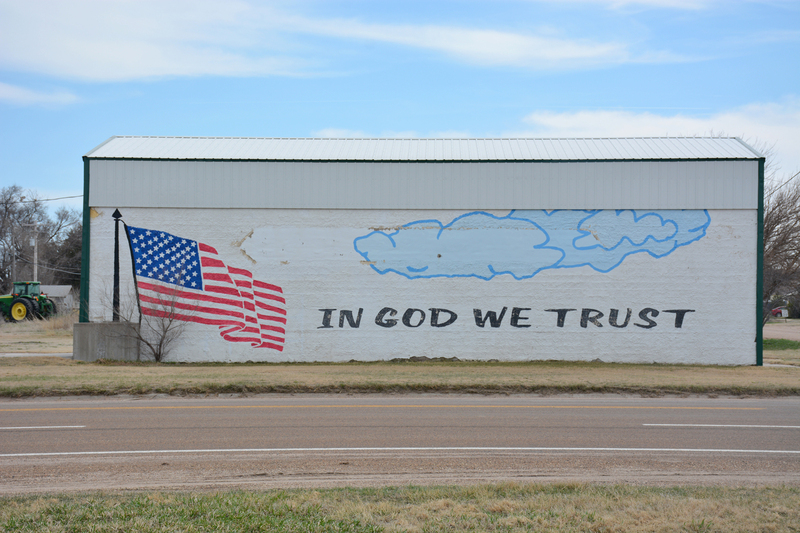 Travel west to Weskan for a roadside mural. And if you're around in November, check out the Sharon Springs Last Chance Christmas Craft Fair. A collection of Western art, including works from regional artist Jerry Thomas and more. Raymond “Fox” Still started making figures and art in 1960 and used the first ones for archery targets. You can see the arrow holes in some of the figures shown on this page. 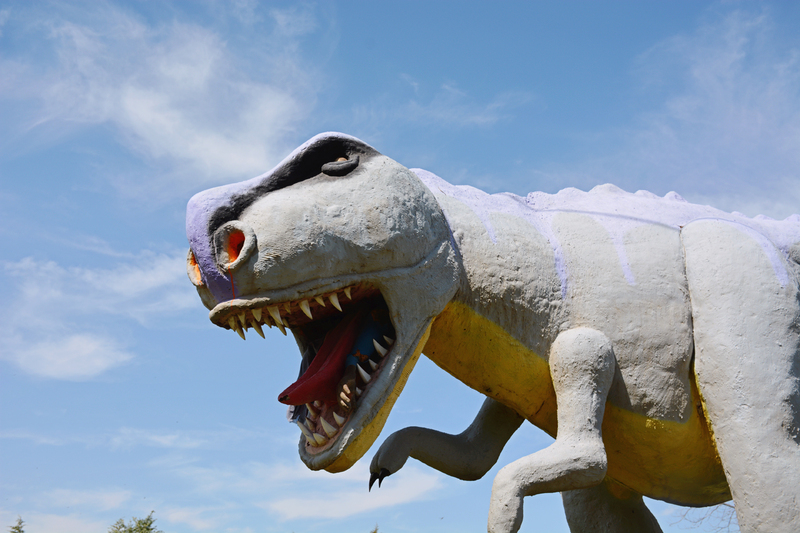 The famous T-rex was erected in 2011. 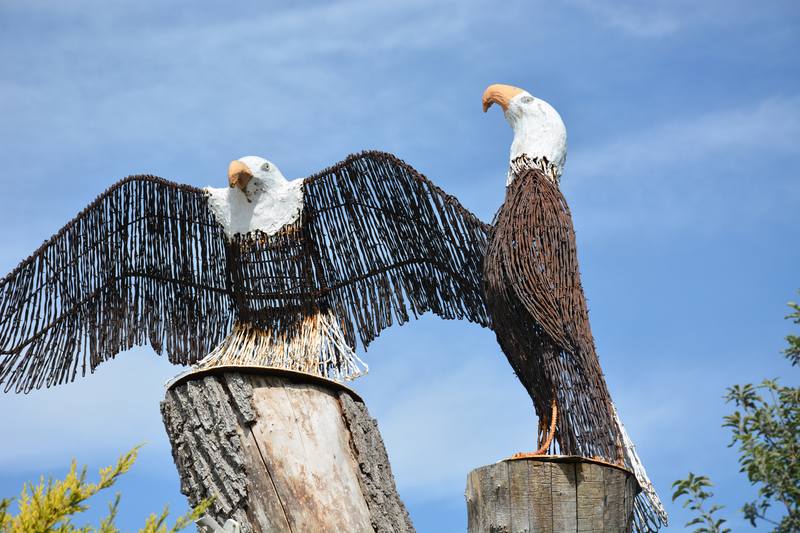 Barbed wire art can be found throughout Wallace County created by local Ernest Edward Poe. 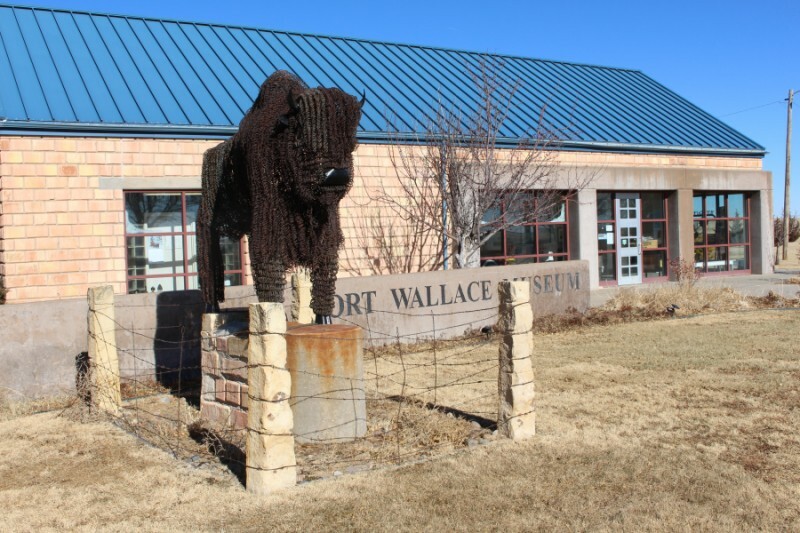 Sculptures range in size and subject, including the buffalo that stands proud in front of the Fort Wallace Museum. 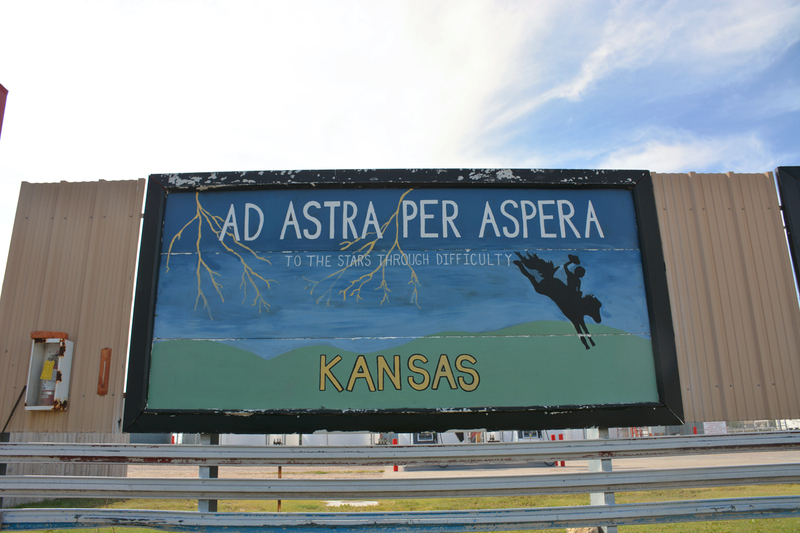 Depictions of Kansas and Wallace County stretched across multiple canvases. 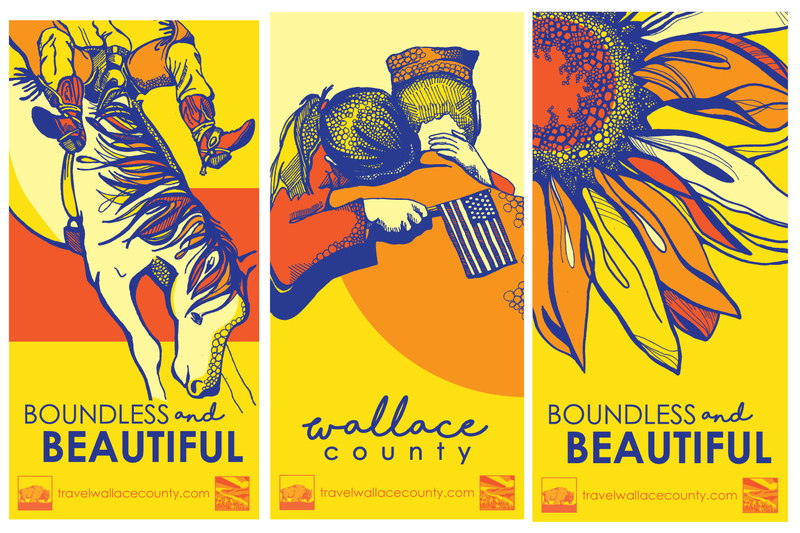 Illustrations of Wallace County attractions and events line Main Street of Sharon Springs. Illustrations were created by Weskan artist, Lissa Sexson. 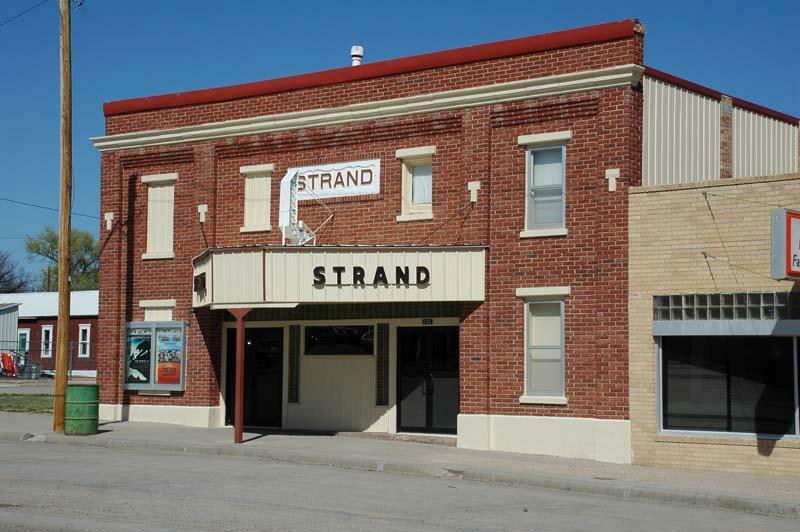 A Community own and ran theater in a historic building on Main Street of Sharon Springs. Catch the latest flick on a Saturday or Sunday evening. 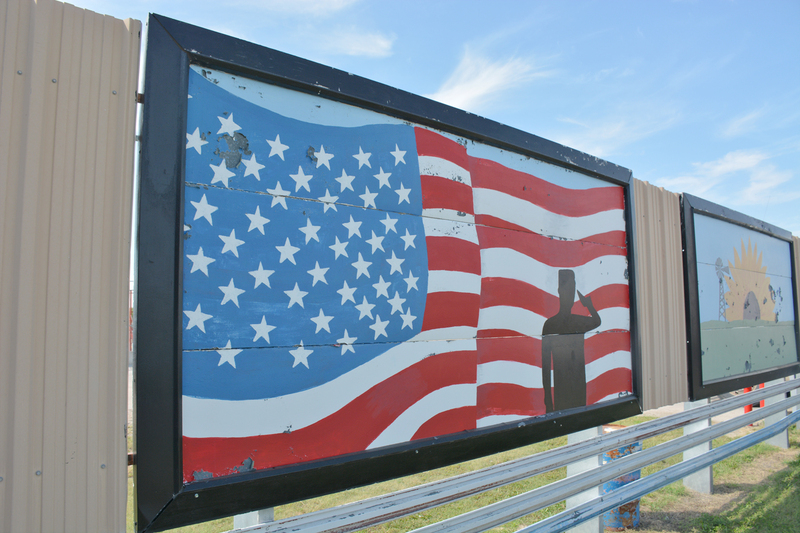 Located along HWY 40 within Weskan on the side of a local agricultural business. 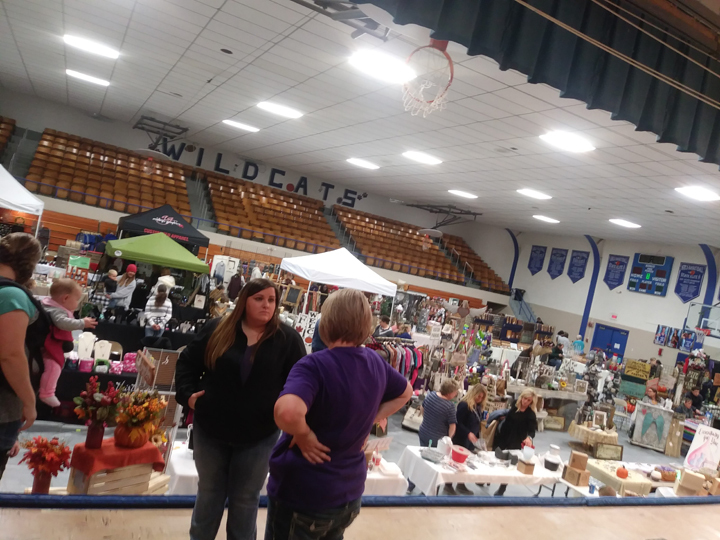 Held annually each November, a fun event to find all kinds of arts and goods from near and far. 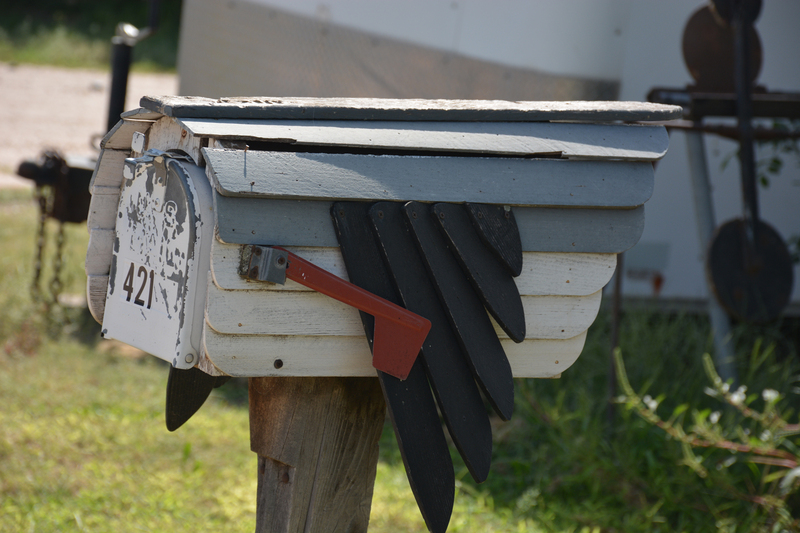 Be on the look out for great details throughout Wallace County! There are hidden gems all over!